Great balls of fire - plasma, actually - are heading toward the Earth, promising to make for one heck of a light show later this evening and Wednesday night. Since August 1, four eruptions have taken place on the surface of the sun. These coronal mass ejections have since sent tons of plasma into space and they are now headed in our direction. The first aurora will be visible about midnight on the east coast of the United States. The next one is expected at around 1 PM, ET on Wednesday, followed by subsequent sky shows at 8PM and 2 AM. These are estimates owing to the fact that each one might be different and there's no guarantee that the earth magnetic waves will act the same throughout the course of the next 24 hours. "The only thing special in that regard is that there were four of them one right after the other. 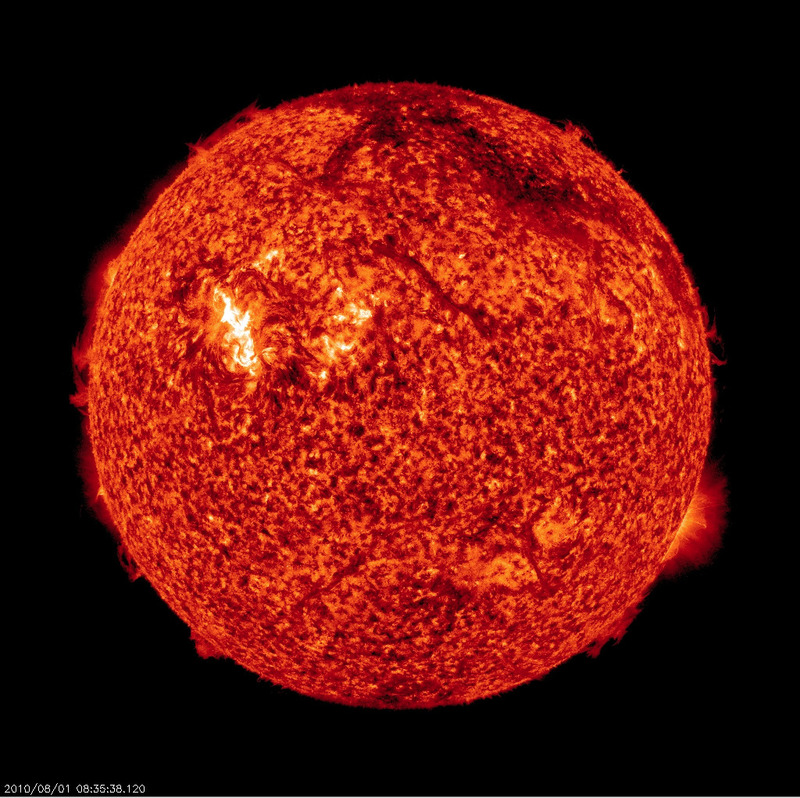 In other regards, they were quite typical of what leaves the sun," astronomer Leon Golub of the Harvard-Smithsonian Center for Astrophysics said in an interview with CBSNews.com The last time the sun played host to this kind of "solar maximum" eruption was 2001. But Golub noted that solar eruptions take place all the time. There is energy stored in the solar atmosphere and something triggers the release of that energy, producing a slingshot effect where all this material gets ejected from the sun. However, the solar eruption also presents possible risks both to satellites as well as to the International Space Station, according to Golub. "It's hard to predict which events are geo-effective, as we say or not. This could produce current surges, or charged particles and radiation," he noted. "They don't reach the ground because the Earth is protected by the atmosphere and its magnetic field." The eruption, called a coronal mass ejection, was caught on camera by NASA's Solar Dynamics Observatory. It had a great view of the eruption which you can see by clicking on the link below.